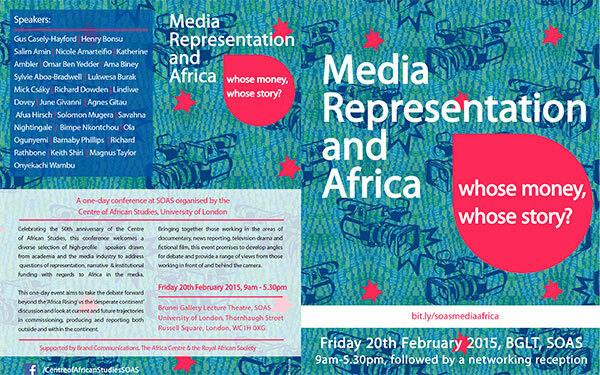 A diverse selection of high-profile speakers drawn from academia and the media industry will address questions of representation, narrative and institutional funding with regards to Africa in the media. This one-day conference aims to take the debate forward beyond the ‘Africa Rising’ vs the ‘desperate continent’ discussion and look at current and future trajectories in commissioning, producing and reporting both outside and within the continent. Bringing together those working in the areas of documentary, news reporting, television drama and fictional film, this event promises to develop angles for debate and provide a range of views from those working in front of and behind the camera.